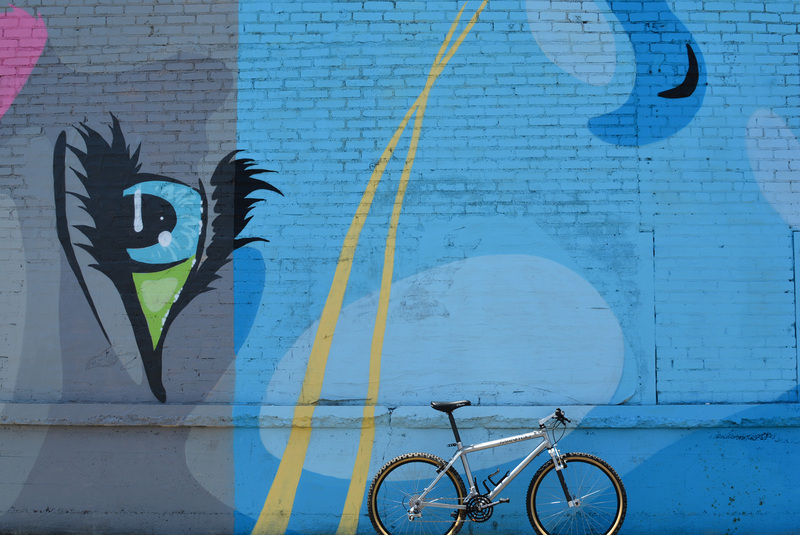 I was looking back at the history of when I got this bike and started working on it and realized it had been over two years in the making. I still can't believe my luck in finding and getting this bike, and really enjoyed completing the restoration. 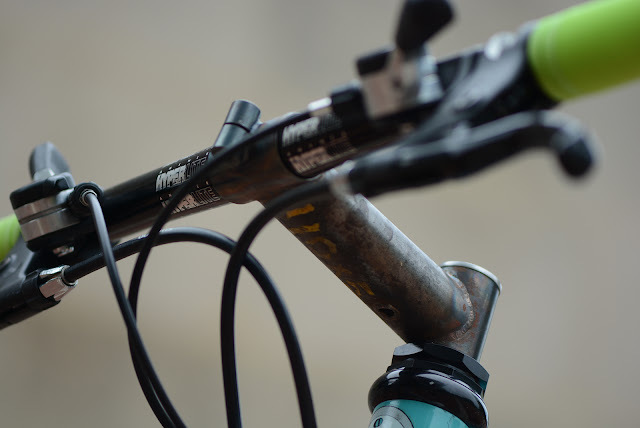 You can see the original post documenting the finding of the bike in Doog Bradbnury's attic here. If you pick up a copy of Dirt Rag #206 you can see a nice write up on the bike and a bit of the history background of how it came to be and what it represents in terms of the development history of the Yeti Alloy Racing Composite (ARC). I've discussed the unique details of this frame in the past and so I won't go into that detailed discussion yet again in this write-up and so I encourage any of you who are seeing this bike here for the first time to read the prior post in the link above. 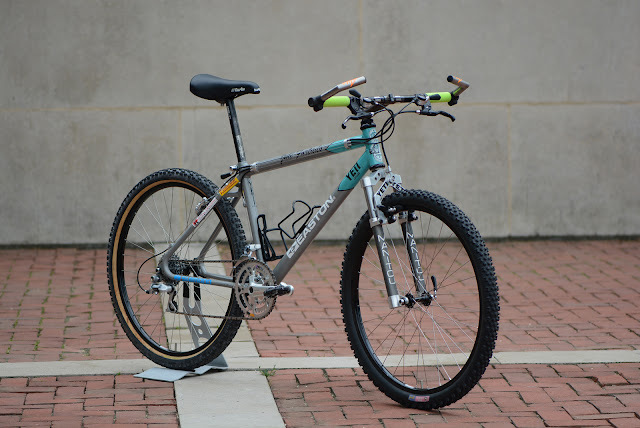 What follows is the culmination of two plus years of restoration, repairs and research to complete one of the first prototypes of the fabled Yeti ARC and the actual, two time World Cup winning race bike of Juli Furtado. 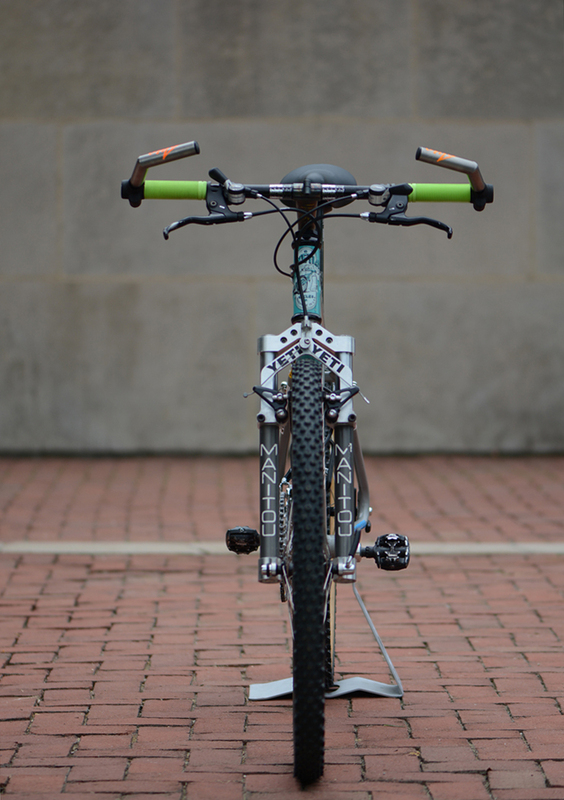 The build here represents the bike as it was at the start of the season. I didn't have a ton of info to go off of to complete this restoration. 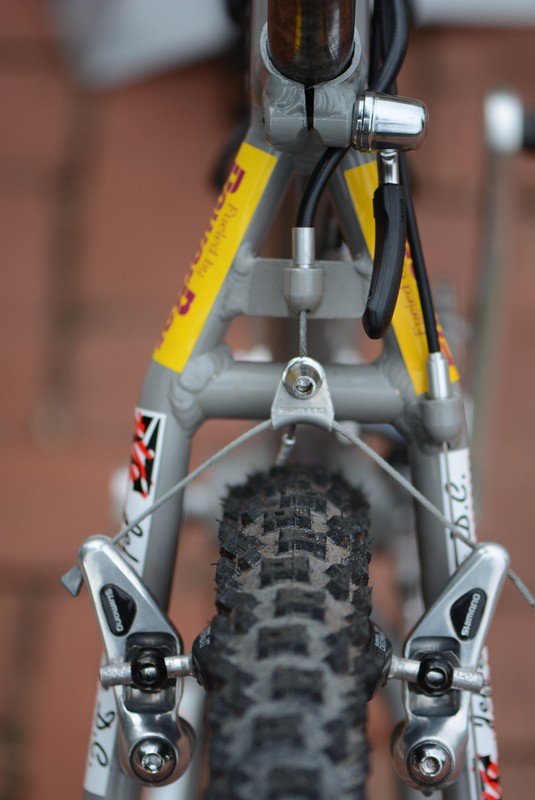 The most complete set of photos came from a French magazine and it showed the configuration of the bike at the very start of the 91 season. The parts appeared to have been directly taken off of Juli's C-26 and were perhaps later swapped back as she changed a few items throughout the early part of the season. 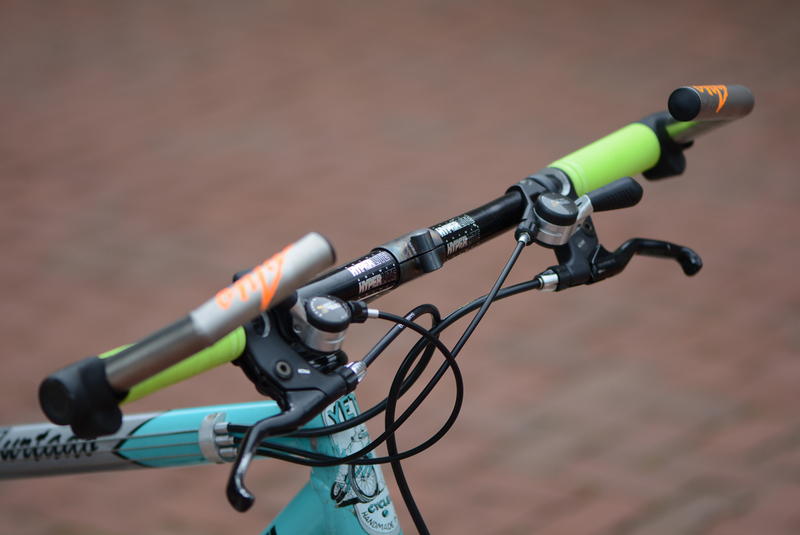 I could have taken a few liberties and ran XT STIs or even a few XTR bits which Juli got early to test, but this initial build really spoke to me with its milled out brake lever and shifter mounts and the simple, tried and true XT components. 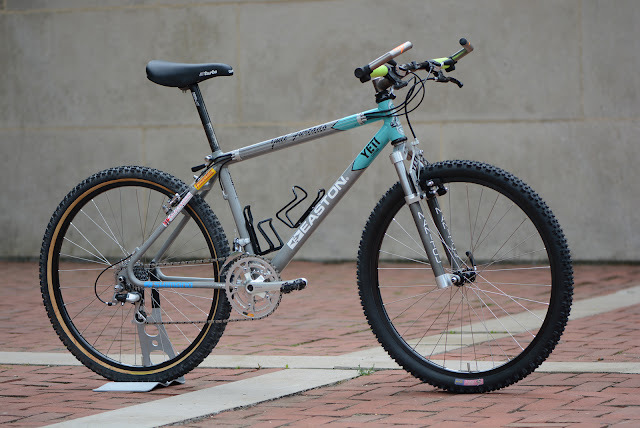 I also really liked the lack of the ARC decals on this bike as it really predated that naming convention and so as a complete package it was really the ideal choice IMO. 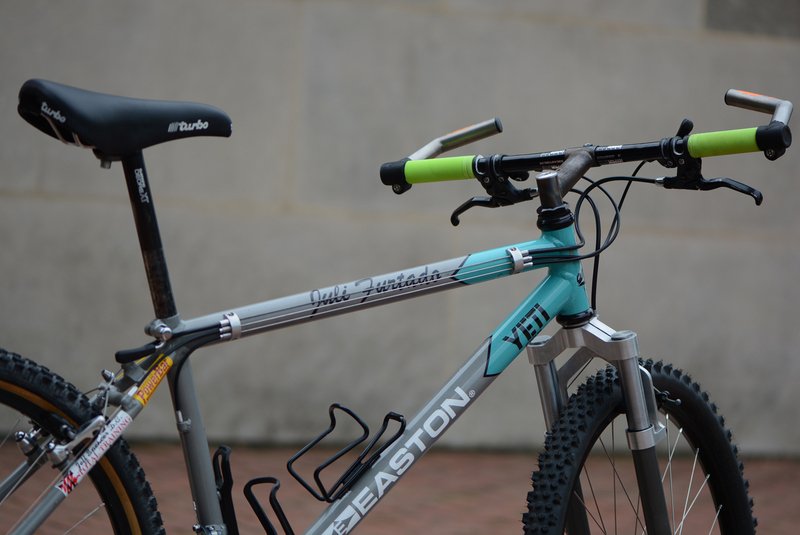 Finding the original stem would have been impossible so I turned to the man who without a doubt made it for Juli back in the day, FTW. 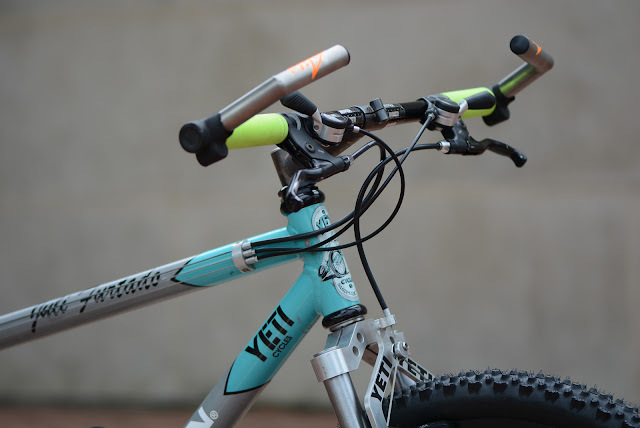 Frank did an impeccable job making a replica steel Yeti stem, even going so far as to use old stock tubing and aging it to give it that worn look. 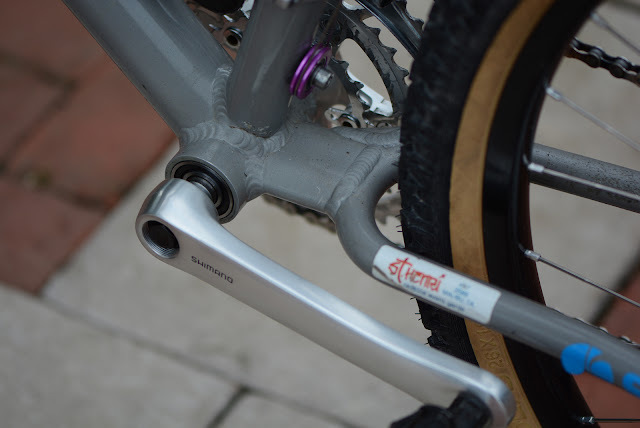 Frank also wrote down the dimensions of the stem underneath, just like he would have done all those years ago. 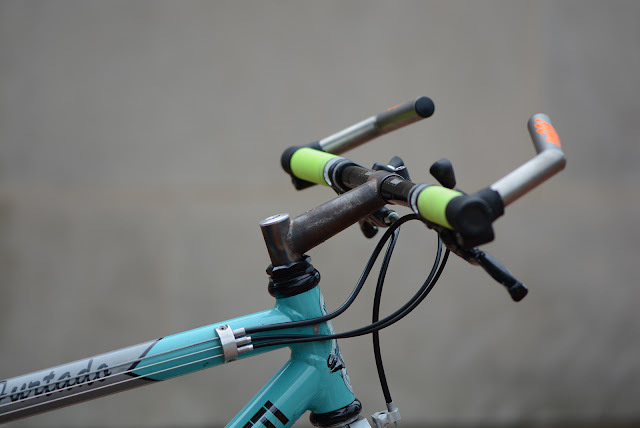 I love those little touches on bikes like these as they make the whole project really stand out and give it a degree or authenticity that is difficult to pull off otherwise. 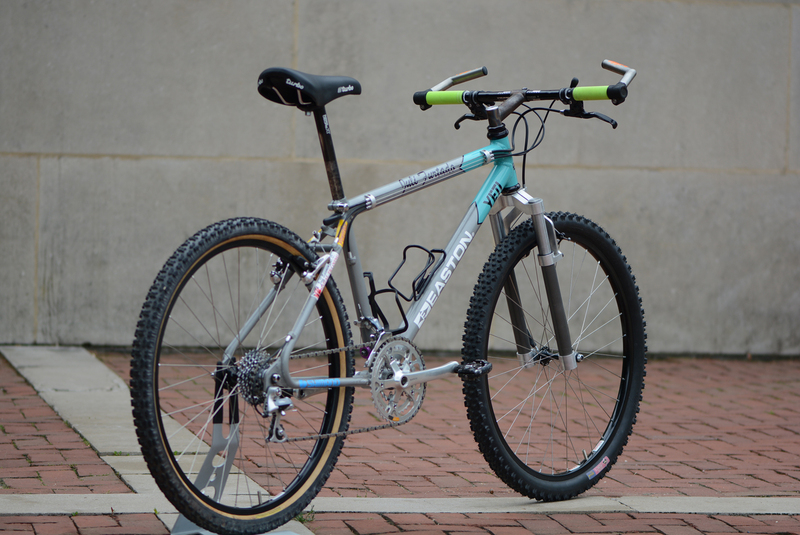 Unlike Juli's later ARC which had a few brightly anodized components, this early build is rather sedate. 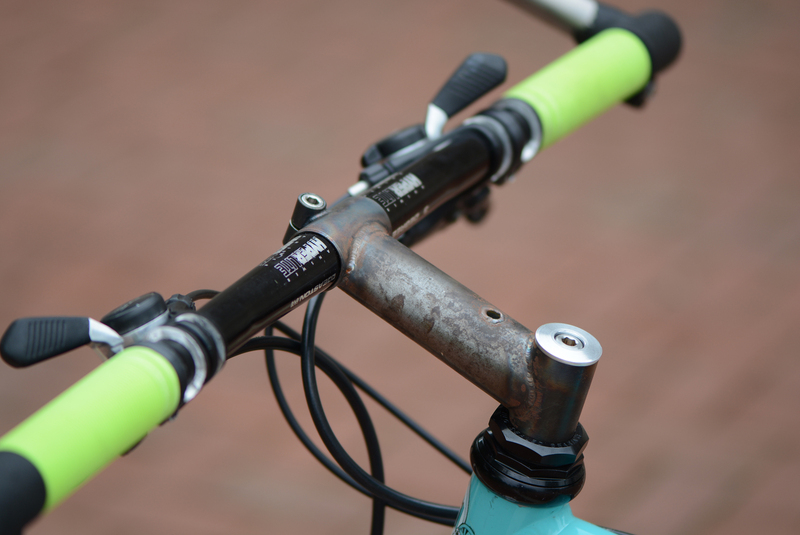 The few splashes of color present are courtesy of the bright ODI Attack grips and some day glo orange Onza decals. 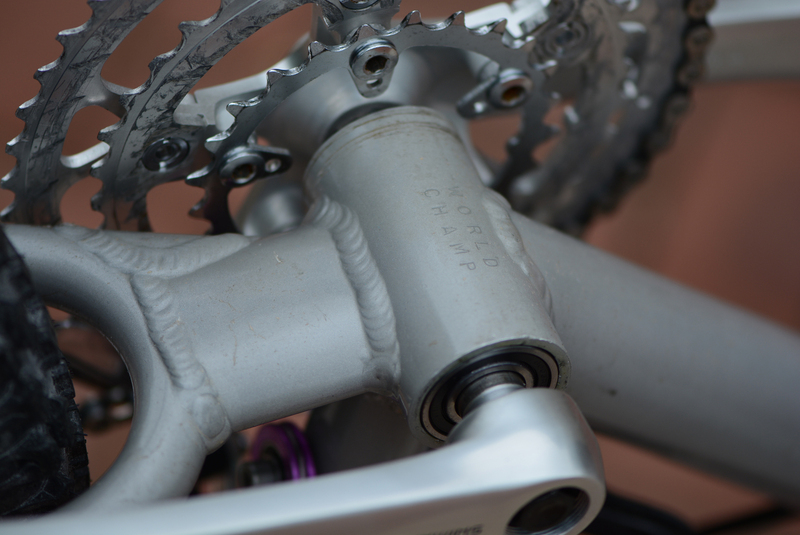 Custom, hand machined cable stops were the earliest iteration used on the ARCs. The 2nd version of the ARC actually had riveted on FRO cable stops welded onto a triangular piece of steel. I did my best to locate original decals and replicate missing ones but there were two decals I was unable to locate and I didn't have sufficiently detailed photos to go off of in order to replicate them. 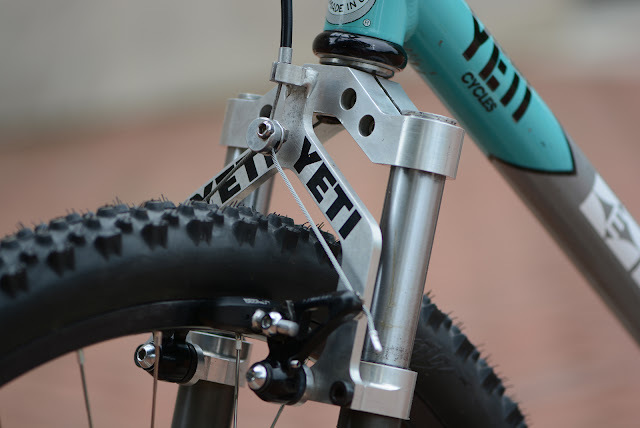 The one piece continuous rear section and the BB junction with the FRO like wishbone is THE detail that sets this Yeti apart from other ARCs after it. Only two prototypes were made with this design and this is the only one remaining, the other was cut up by Chris Herting during the development of the ARC-AS softail. 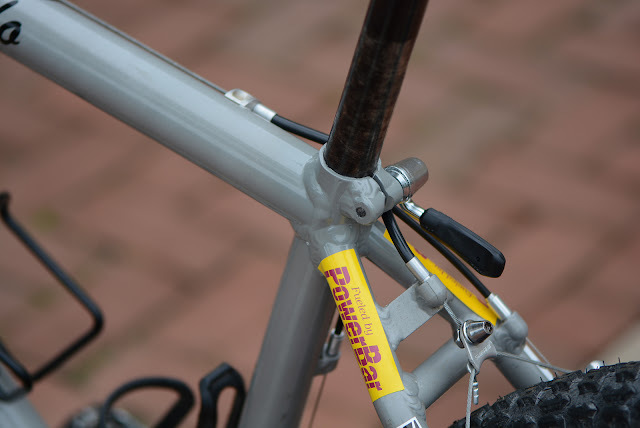 When I got the bike the seat tube was cracked, a silly thing given that it most likely broke not because of use but rather because it was left with the seat binder bolt tightened which put an excessive load on the nearly 30 year old and brittle material. Once again FTW came to the rescue and with some careful localized blending I doubt anyone would ever notice that a repair took place here. This is one of the few ARCs that didn't have a cracked headtube, almost hard to believe! 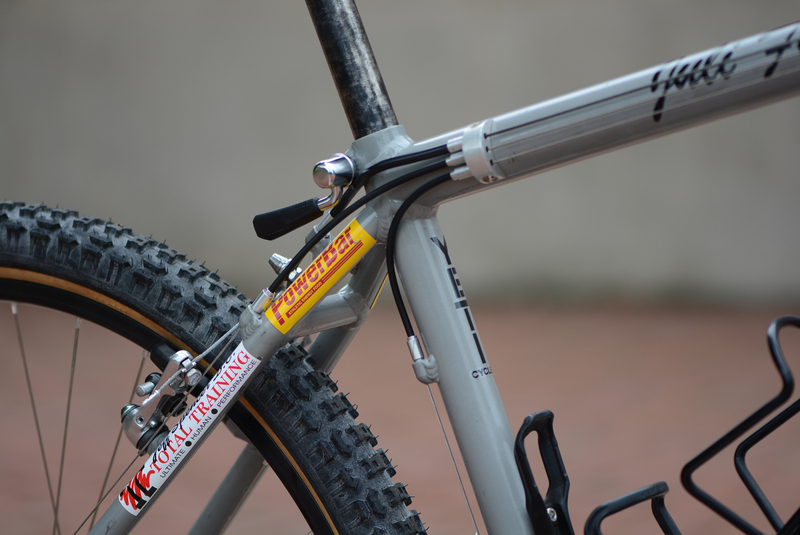 The fork on this particular bike is what's commonly referred to as the 2nd generation Bradbury Manitou. For all intents and purposes it's identical to the Answer Manitou 1 released in the later part of 1991 at which time Doug slowly stopped making his own forks. 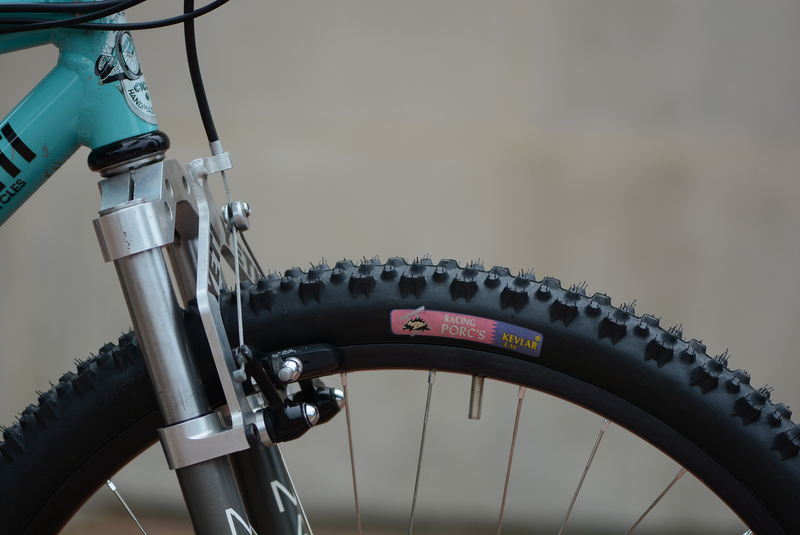 This fork has slightly longer travel compared to a stock unit, and by slightly longer I mean it's closer to 2" as compared to 1.5". That's in ideal circumstances and with softer bumpers. Set up with a blend of medium/firm it still gets about 1.5". All those extra stanchions are good for in reality is to slacken the front end. The small size of this frame makes for a really busy rear end with cables running close to each other and forcing somewhat tight runs of the brake housing. 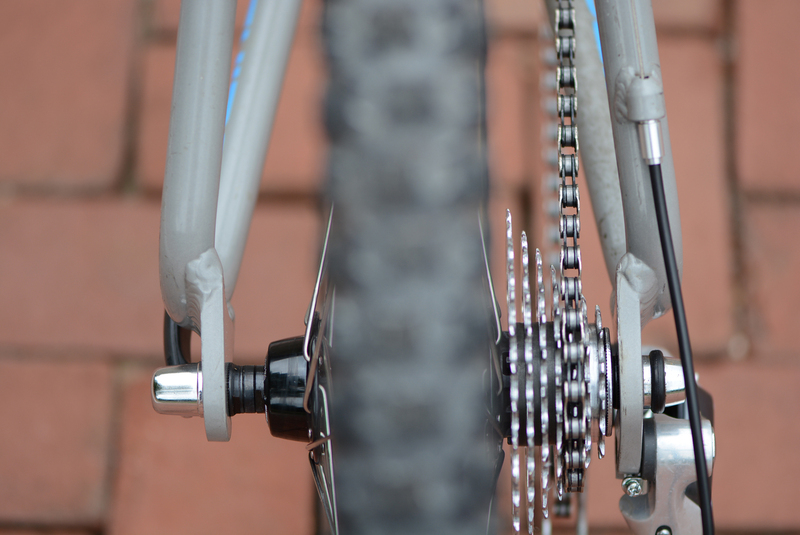 Luckily the old style 6mm housing is softer and conforms a bit better to the tight routing. 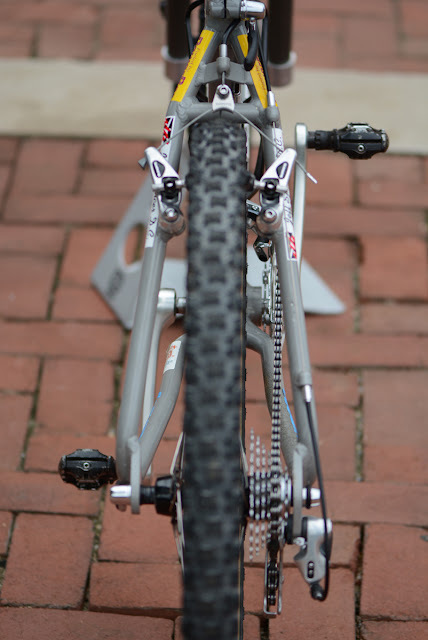 Running low profile brake in the rear and was a nice touch and I'm happy I was able to find enough info about the bike to catch this detail. 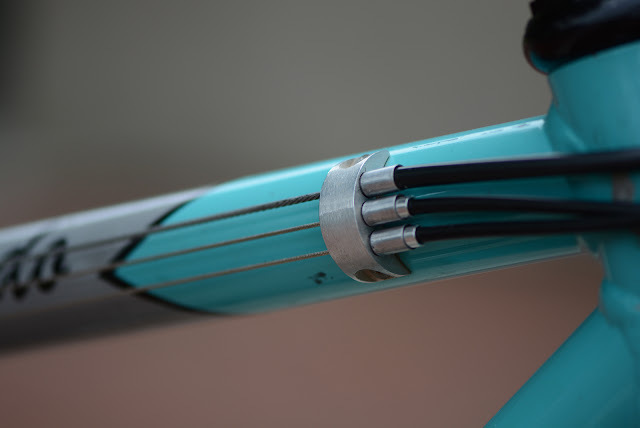 I'm sure people will disagree and point to some amazing fillet brazed steel beauty, but for me this is one of the sexiest rear ends on a bike ever made. Think about it for just one moment, the entire rear end is made from one continuous Aluminum tube, that's with contoured chainstays to boot!!! As another epic projects come to a close I can't help but reflect on the scarcity of finds like these and the opportunity to work on something truly amazing. 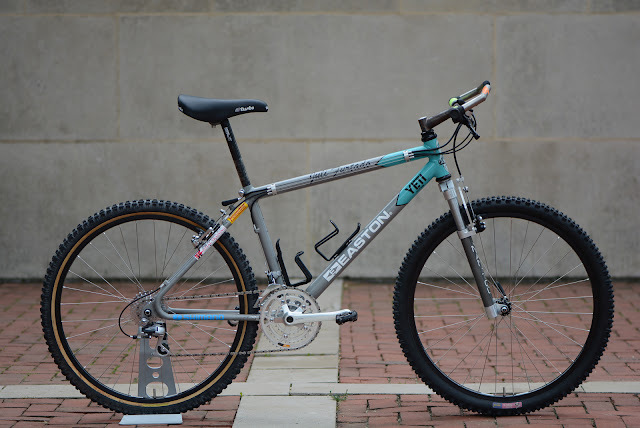 When I first got into collecting and restoring mountain bikes these bikes seemed unattainable and almost otherworldly. Most of us assumed they were broken, busted and buried under a mountain of rubble or simply lost to time. Since then a surprising number of them have turned up and made their way into the hands of collectors. I've been fortunate to have a few pass through my hands and am happier for it. However there was always a finite number of them and now fewer left unaccounted. So, while I'm proud of this work and happy to have seen it through to the end, I'm left feeling a bit sad that this particular ride is over and that I may not get another opportunity like this for a long time to come if ever again. So, I'll take my time making a few last tweaks here and there and relish the time I had to work on it and remember that it helped connect me with some truly amazing people and the relationships that came from that. 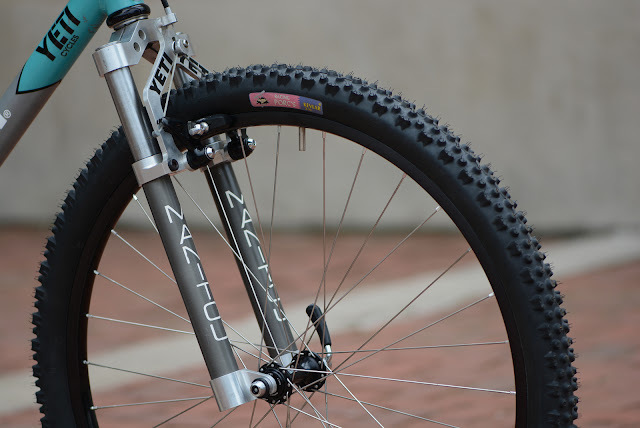 In the end I think that's a good story and one I'll remember long after the smell of melted elastomers and fresh rubber is gone from my memory. Very well done again, Martin. I always like to read your restoration stories and this one is definitely amongst the very best of yours. The attention to detail is quite something. 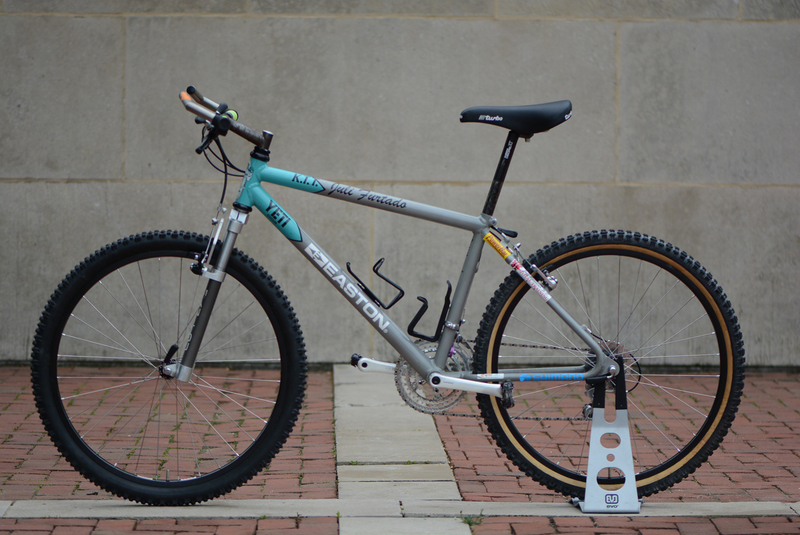 The bike in itself is a masterpiece but the restoration takes it up a notch. 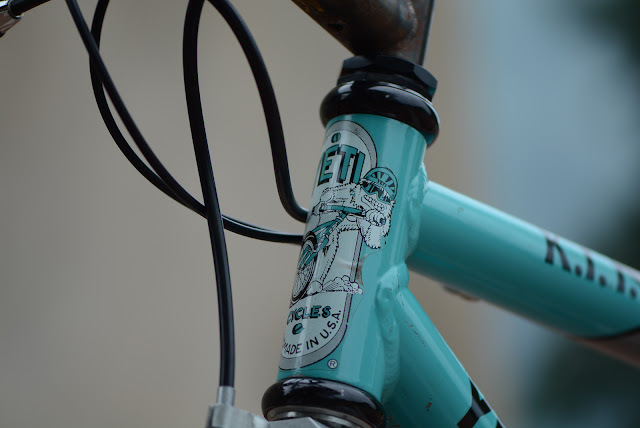 That stem is exquisite, and the decals really set it all off. Out of interest, which ones couldn’t you replicate?